The latest LFW (Friday 14th September – Tuesday 18th September), at which the trends for Spring and Summer 2019 were exhibited, has just ended. It was preceded, as always, by statistics issued by the British Fashion Council (BFC) emphasising the vital financial contribution (£32 billion) the fashion industry makes to the UK economy. 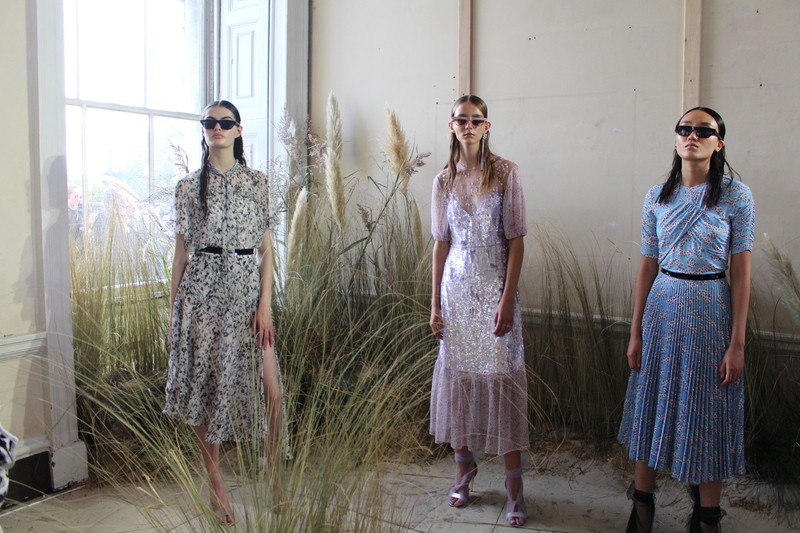 The LFW SS19 Prospectus enthusiastically hailed “this season’s packed schedule (which) cements London’s position as an international hub for creativity, innovation and commerce. It features catwalks, presentations and events from over 190 international brands”. Looming over the occasion, however, was evident and widespread concern regarding the potentially damaging impact on the sector of the UK’s departure from the European Union (EU), due to take place on March 29th 2019. The new chairwoman of the BFC, Stephanie Phair, indeed acknowledged to the Evening Standard’s (ES) fashion correspondents, Naomi Ackerman and Karren Dacre, on 14th September, that the industry faces “extraordinary challenges” from “digital disruption, people thinking about sustainability and Brexit”. Two days previously, the same newspaper’s business commentator, Joanna Bourke, in a full-page report captioned “Rising costs and a shortage of models: Brands battle Brexit as Fashion Week kicks off”, had highlighted the “new alarms which have been sounding”. She quoted John Horner, chairman of the British Fashion Model Agents Association, as pointing out that “designers rely on recruiting models that nobody else has seen”, hence that if getting European models into Britain suddenly involves more passport and visa costs as well as more bureaucracy, then “ the runways could suffer a dearth of new faces”. 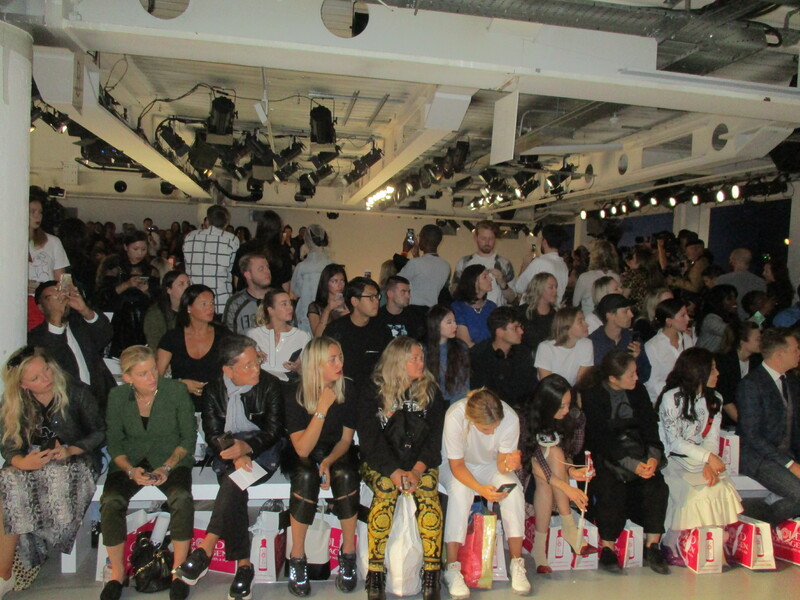 The BFC’s Chief Executive, Caroline Rush, similarly stressed to Bourke the importance of ensuring that the 60% of EU and international models taking part in LFW are still able to easily enter the UK. Meanwhile, the Hackney-based designer Sadie Williams, is especially worried about higher material prices if the UK fails to achieve a favourable free-trade agreement with Brussels, as she buys many of her fabrics from the EU. The womenswear designer, Minki Cheng, is rather more optimistic: “As long as the Government and the creative council are committed to protecting the industry and its talents, we believe London will remain top”. This was not, however, the gist of an outspoken but unsigned article in the Evening Standard’s Fashion Edition, published on 14th September to coincide with the start of LFW SS19. It was prefaced by the same slogan of “Fashion Hates Brexit” that the English fashion designer, Katharine Hamnett,“known for her ethical business philosophy”, has put on the new version of her T-shirts. She has apparently sold thousands of her previous ones advocating “Cancel Brexit”. The ES writer noted that 90% of British designers had voted to remain in the EU and that Richard Lim, chief executive of the analysts Retail Economics, predicts that “the price of a pair of jeans will, in all likelihood, go up after Brexit”, due to the introduction of tariffs and an exodus of European shop staff, designers, warehouse staff and delivery drivers, resulting in an “inflationary effect on wages”. According to the editor of the “Ready For Brexit” website, Anna Tobin, “business that’s done unthinkingly now – shipping in cloth from Italian mills, sourcing components from China, Turkey and India – will become a logistical nightmare. The ES article did nevertheless concede that “it’s not all bad”, that the decline in the value of the pound sterling has seen surging numbers of Chinese, Arab and American fashion tourists spending much more money in London’s West End. A rather different controversy surfaced on the second day of LFW SS19. As the Guardian columnist, Hadley Freeman, observed in “G2” on 13th September, “everyone knows that the row you are seated in at LFW is a reflection of how important you are considered to be”. On 15th September, the newspaper’s “wealth correspondent”, Rupert Neate, revealed that front row seats at some of the shows were being offered for sale for as much as £5,000 each. Examples given were the catwalk that same evening by Mary Katrantzou, “a London-based designer who sells cocktail dresses that cost £30,780”, and for the Victoria Beckham Show on the morning of Sunday 16th September – though Beckham herself was categorical that she was not aware of this. Caroline Rush has defended the practice of selling front row tickets on the grounds that it enables the BFC to “offer a premium show venue to emerging designers at a reduced rate”. Ironically, many of the remaining tickets to the catwalks – both for sitting in rows further back or standing – are often issued to art and fashion students from as far away as Liverpool or Manchester who travel to London looking forward to attending a show, queue outside for sometimes an hour or more and are then not allowed in because the venue has reached “full capacity”. Freemasons Hall in Great Queen Street in particular has acquired a reputation as a location where this tends to occur.